Enjoying a hit on a sunny Winters day. 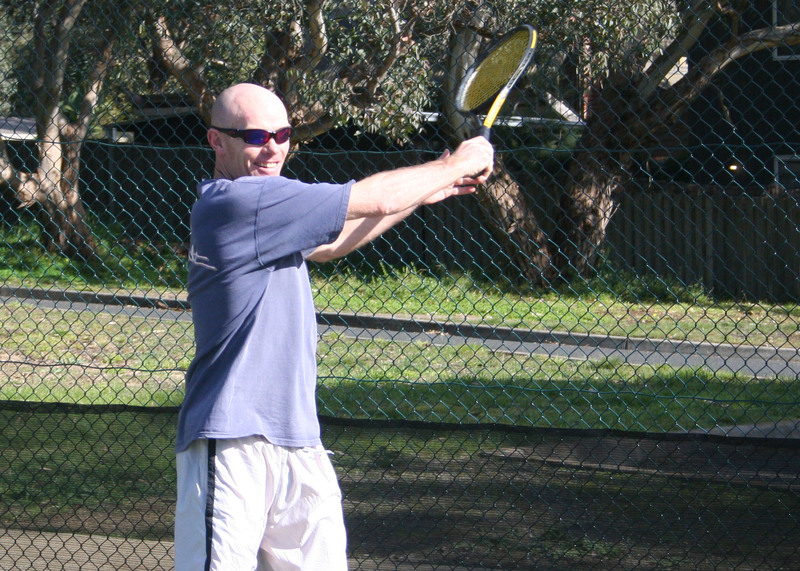 Learn tennis from the perspective of body-learning, which is the easiest and most efficient way to learn new skills. 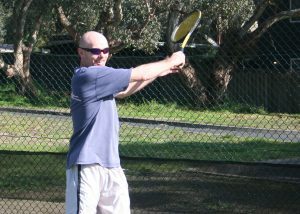 I will take you through different exercises that relate to ground-strokes, serve, volleys and smash that will transfer into stroke production. This way of learning uses feel and contrast to work with the nervous system directly. We will use rubberised medicine ball, low-compression balls, weighted sticks, cyclone balls, and swing kite in these sessions to facilitate the patterns of movements used in the strokes and to enhance and reinforce learning. We can overload movement, play points, and work on match-play in these sessions as well. Loading Contralateral Stabilising Function using Green PowerBand. 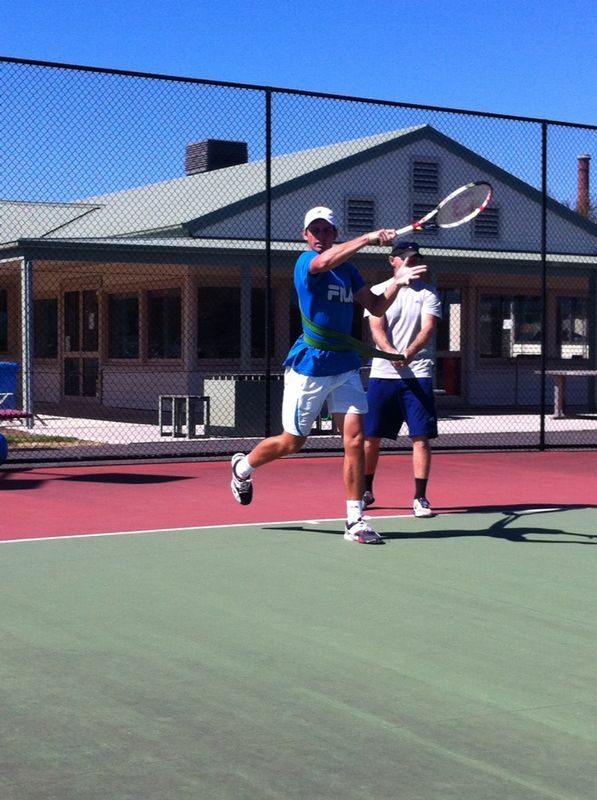 Resistance is to Posterior Sling so that acceleration phase of the racquet is enhanced.